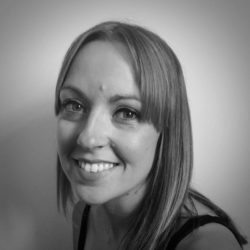 Nikki Johnson has over 25 years’ experience in performing arts and has the Associate (teaching) Diploma in Performing Arts. She currently performs as a singer and has previously worked as a dancer and musician. As a mum, she felt that the opportunities for this age group to become involved in performing arts outside the traditional part-time stage school environment was limited and so was inspired to develop this South Yorkshire based company. 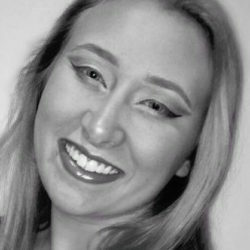 As Noodle’s dance director, Jessica teaches many of Noodle’s dance classes and is responsible for the choreography in our annual show and other performances. Jessica started her dance training at the age of seven and began teaching when she was just 16. 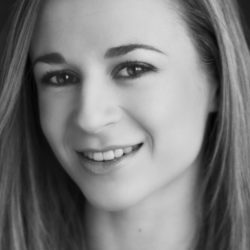 She is an Associate teacher of the IDTA, specialising in ballet. She teaches all areas of dance including ballet, tap, modern jazz, musical theatre, disco and gymnastic dance but enjoys ballet the most! 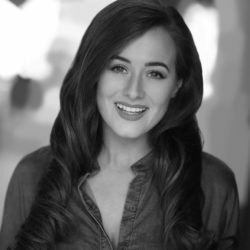 Jess completed three years of professional musical theatre training at Phil Winston’s Theatreworks and graduated in 2010. Professional credits include dancing in Duo Entertainment’s pantomime ‘Cinderella’, where she shared the stage with Bernie Nolan and Basil Brush, P&O’s Aurora, Thursford Christmas Spectacular and Broadway in Blackburn for SoShow.biz. Dancing from the age of six, Clare always wanted to be a performer. 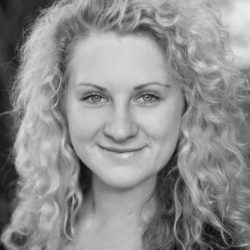 At the age of 18, Clare moved to London to study at the prestigious Italia Conti Theatre Academy where she trained in all aspects of performing arts. Since then, Clare has toured, worked on TV, in theatre and in holiday parks. Credits include TV appearances on Celebrity Big Brother 2007, Friday Night Project and Ripon Wedding Fayre for Look North. Her theatre and touring credits include The Royal Masonic Variety Show (Her Majesty’s Theatre), US Tour of Dancing Queen (Spirit Productions), Plunder the Pyramids (Underwraps), Weapons of Mass Destruction (Courtyard Theatre) & Irish Tour of Ed Masters Variety Show (Illusion Works). 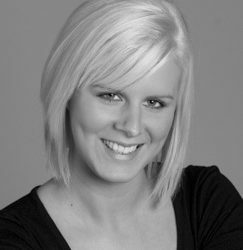 Clare is also an accomplished choreographer and she has lots of experience teaching children of all ages. Olivia started dancing at the age of 3 and has taken part in many shows and performances. She has completed her IDTA intermediate ballet and modern examinations & pre-associate modern jazz. At the age of 8, Olivia joined a youth theatre, where she completed LAMDA examinations and participated in many charity pantomines. In 2015, Olivia won the lead role of Jack, in St Mary’s Youth Theatre’s Jack and the Beanstalk pantomime. Olivia has been a class assistant with Noodle since the age of 15 and she enjoys seeing children improve with their performing abilities and confidence. overs and Educational DVD’s. After training locally and on completion of her A levels, she attended Performance Preparation Academy in Guildford Surrey. There Jourdan focused on her preliminary craft of Musical Theatre, training in jazz, ballet, tap, stage combat, singing, Estill Technique and Meisner. Jourdan then made her professional debut as Valerie in Europe’s first preview of Times Square Angel (Union Theatre, London) followed by SlimeBall in Jack and the Beanstalk (Bedworth Civic Hall). Jourdan is now venturing into the TV/Film industry where she can be seen in feature films playing Queen Acha ‘Whiteblade’, Jess in ‘Ask the Cheat’ and Receptionist in ‘Destination Dewsbury’ all set for release in 2017. Rebecca started dancing at three years of age. She has completed both BTEC Performing Arts and BTEC Advanced Dance qualifications. She is passionate about dance and has performed at a variety of events and venues. 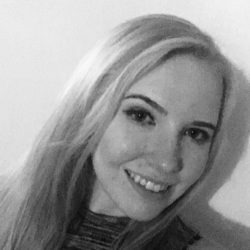 She has also successfully completed 3 years of dance training at Liverpool John Moores University where she gained BA (Hons) Dance Studies, (specialising in Dance in the Community) Her passion for teaching dance began when she ran her own classes for teenagers and adults before travelling to Australia. 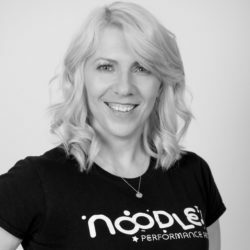 Rebecca is now an experienced Noodle teacher and has been teaching our little Noodlers for the past 2 years – they love her! Lisa has been performing from a young age. At college she achieved a Distinction in her Dance Diploma. She then went on to study Drama at the University of Lincoln graduating with a 2:1. Lisa’s performing credits include the Edinburgh Fringe Festival. 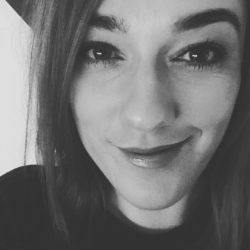 As well as working as an entertainer at the family resort of Es Cana in Ibiza Spain, Lisa has spent a number of years working in the USA, teaching dance and working as an Au Pair. Since returning to the UK, Lisa has qualified to teach fitness, yoga, Pilates, Exercise4kids and Reggaecise. She is passionate about her work with children and is excited to join the team at Noodle. Laura studied BA (Hons) Acting (elective in Dance) at the University of Leeds, graduating with a 2.1. She is passionate about dance and drama and has performed at a variety of events and venues. Laura is an actress who has also delivered Theatre in Education shows and workshops to schools throughout the UK. As well as her performance experience, Laura is also a qualified education trainer. She is thoroughly enjoying her Noodle classes and loves to share her own passion with the young people. Daisy is currently studying Production and Performance Arts at college and is working towards her Extended Level 3 Diploma. She has been involved in performing arts since a young age and believes this is what has made her the individual she is today. She is involved with various acting groups, dance groups and is currently an official cheerleader for the Sheffield Steelers ice hockey team! She wants to develop her skills, gaining as much experience as possible. She hopes that by working with the children she will be able to influence and help them discover their creativity. There is not very much that Fliss doesn’t know about all things Noodle! 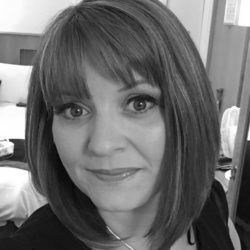 For the past five years, Fliss has worked at Noodle HQ, dealing with all aspects of Noodle administration, customer care, franchise management and running our Noodle Parties business. We might drive her a little crazy sometimes, but she loves being a part of the Noodle HQ team!